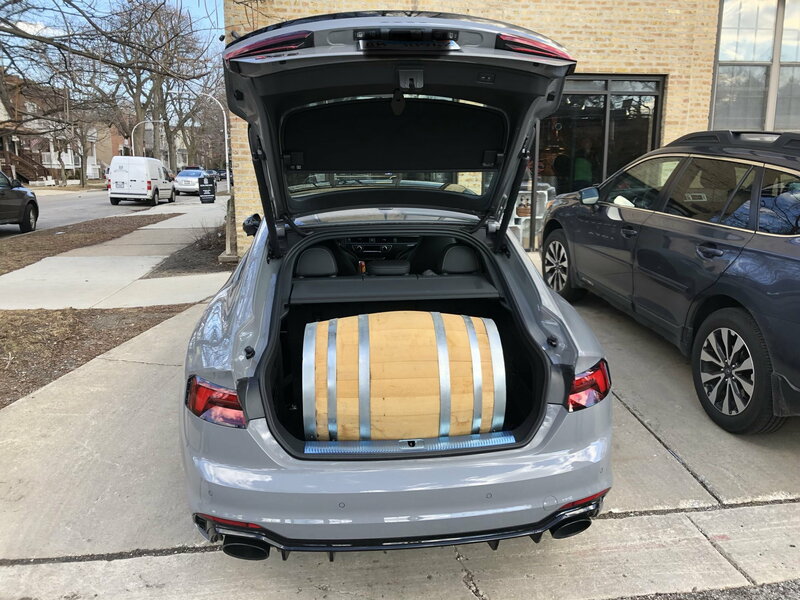 Picked up whiskey barrel at Koval distillery here in Chicago. If you haven’t tried Koval Whiskey you’re in for a treat...try the rye and millet versions. The sportback is so practical we could have room for two more of these guys. Last edited by chicago_marketing; 03-16-2019 at 08:02 PM. you win the best photo award for showing off the capacity of ooir wonderful car! Sorry — At first glance I thought you figured out a way to increase your petrol tank by an incredible amount. Well it looks great, and very realistic. Nice work. Good point but ‘Shine costs a lot more than gas — even Premium. How long will it take you do drink that?